"Whatever that guy did that worked I thought of first!" Vice-President Joe Biden made a comment close to two weeks ago at an event at New York University in which he touted President Obama's record and contrasting those accomplishments with statements made by then-presumptive GOP nominee Mitt Romney. 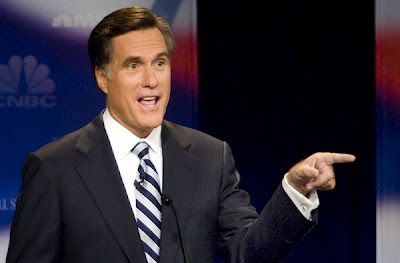 Mitt Romney has made numerous comments in the past regarding the hunt for Osama Bin Laden and the auto industry bailout. In an Associated Press story on April 26, 2007, between Romney and reporter Liz Sidoti, Romney was quoted as saying the following in regards to Osama Bin Laden: "It's not worth moving heaven and earth and spending billions of dollars just trying to catch one person." Romney later clarified his comments back in 2007 and again more recently with his flippant "of course" response, but that is beside the point - Romney put his foot in his mouth. In regards to the auto industry, Romney was known for criticizing the bailouts famously saying "let Detroit go bankrupt" and go through a managed bankruptcy, which in 2008 he said "would propel newly competitive and viable automakers, rather than seal their fate with a bailout check." A year later Romney claimed Obama stole his idea. Three years after that Romney is claiming that he deserves all the credit for saving the auto industry because of the idea of a managed bankruptcy he advocated, despite the fact that Romney served no official (or unofficial) role in the auto industry dealings. "I pushed the idea of a managed bankruptcy," Romney said. "And finally, when that was done, and help was given, the companies got back on their feet. So I'll take a lot of credit for the fact that this industry's come back." It seems the Romney campaign is taking a cue from the Obama campaign. Throughout the GOP primary, Obama and his surrogates have been touting the inspiration Romneycare provided for Obamacare. Romney must have seen that strategy as working for Obama so now Romney is trying his own brand of taking credit. "We'll move everything to get him. But I don't want to buy into the Democratic pitch that this is all about one person — Osama bin Laden — because after we get him, there's going to be another and another. This is about Shia and Sunni. This is about Hezbollah and Hamas and al-Qaida and the Muslim Brotherhood. This is a worldwide jihadist effort to try and cause the collapse of all moderate Islamic governments and replace them with a caliphate. "They ultimately want to bring down the United States of America. "This is a global effort we're going to have to lead to overcome this jihadist effort. It's more than Osama bin Laden. "But he is going to pay, and he will die." Since then President Obama had found and killed Osama Bin Laden as well as destroying al-Qaeda's leadership, taking out 20 of their 30 top leaders. It is only a matter of time before Mitt Romney will say that he would "take a lot of credit" for those actions as well.